Kris Farrow’s version of The Office TV theme featured in actual NBC Season Finale May 16th! 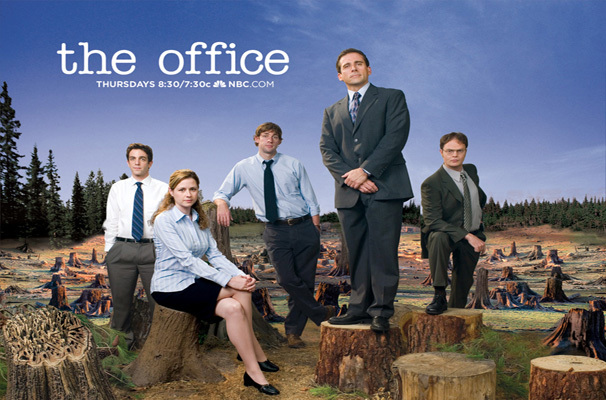 The producers of NBC’s show, The Office, are going to use Kris Farrow’s acoustic guitar version of the classic Office theme song in the primetime season retrospective finale of the show, which airs tomorrow, Thursday, May 16th 8pm EST, 7pm CST. This is the final episode of the show (which we’ve all loved over the years) and we are sorry to see such a great show end. We’re not sure exactly at what spot in the episode they’re are using the recording – it’s all top secret and stuff being the last episode. Our guess it’s going to be used in special montage segment. Just listen for Kris’ unmistakable guitar playing! We are thankful to NBC for licensing Kris’ amazing acoustic guitar version of the song, which is available on Acoustic Guitar Karaoke, Vol. 24 (Movie & TV Themes) on the iTunes Store. AGK and Kris Farrow finish 2012! The Acoustic Guitar Karaoke series from musician KRIS FARROW finished 2012 with Volumes 27 and 28 … wow! We’ve been releasing acoustic guitar songs now for over four years … and counting. We’re planning even more volumes in 2013, so be on the look out. Click link here to Kris’ catalogue of 300+ tracks on iTunes. Also, check out Kris Farrow’s website and see him perform live on tour as guitarist with the THE ZANE WILLIAMS BAND in 2013. We appreciate all your support and thanks for checking us out. We wish everyone much success in 2013! 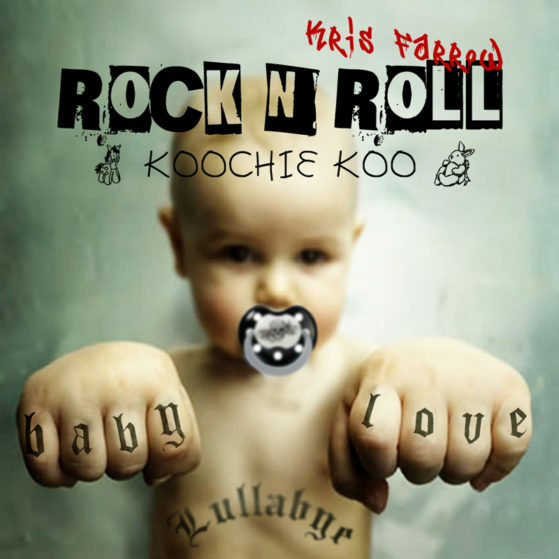 Kris Farrow has just launched a new album series with Triple Pop called ROCK N’ ROLL KOOCHIE KOO available exclusively on iTunes. It’s lullabies for the rest of us! This one is aimed at the parents bored with Bob The Builder and other goofy songs for kids. The release features six (6) lullaby renditions of songs such as Found Out About You (Gin Blossoms), Mr. Jones (Counting Crows), Rolling in the Deep (Adele), Jack & Diane (John Mellencamp), and Don’t You Forget About Me (Simple Minds). There’s also a bonus track of the Sesame Street TV theme. 2012 has arrived, whew! Where did all the time ago? 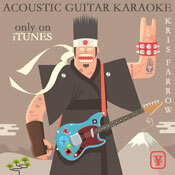 Kris Farrow recently released a new volume of Acoustic Guitar Karaoke #26 on iTunes. It’s specially priced at only $3.99 for five new tracks. This latest five-track set features I Won’t Give Up on You (Jason Mraz), Mean and Safe & Sound (Taylor Swift), Over You (Miranda Lambert) and Somebody That I Used to Know (Gotye). When you get a chance, head on over to iTunes @ www.itunes.com/krisfarrow and check it out. Also, check out AGK Vols. 23-25 which were released late last year. Kris has now released over three-hundred (300+) AGK tracks, something for everyone! As a reminder, AGK 23 from Kris Farrow is now available on iTunes. This latest ten-track set features acoustic guitar interpretations of tracks from The Script, Christina Perri, Sugarland, Jewel, The Band Perry and Lemonade Mouth, among others. When you get a chance, head on over to iTunes and give em’ a listen. Thanks again for your support! 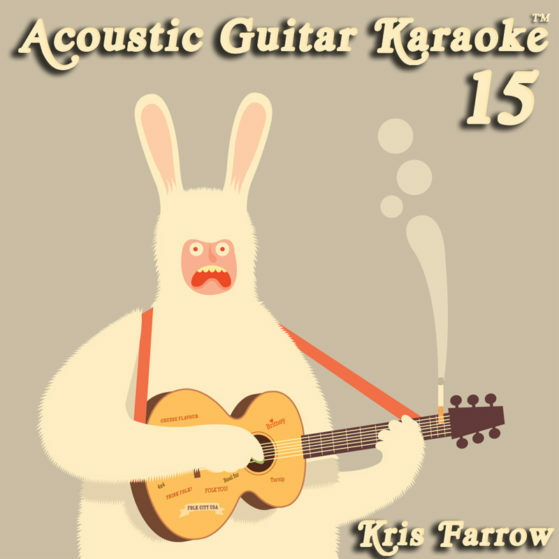 2011 has arrived … and Kris Farrow recently released a new volume of Acoustic Guitar Karaoke #22. It’s specially priced at only $2.99 for five new tracks. This latest five-track set features Give in To Me (Garett Hedlund, Leighton Meester) from the Country Strong soundtrack, Marry Me (Train), Only Prettier (Miranda Lambert), Are You Gonna Kiss Me or Not (Thompson Square) and Rhythm of Love (Plain White T’s). When you get a chance, head on over to iTunes and give them a listen for yourself. Kris has now released over two-hundred and seventy (270) AGK tracks on iTunes — we’re sure there is going to be some others you’re gonna love, too. Thanks again for your support. 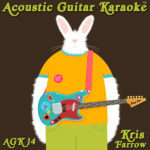 Kris Farrow has recently released three volumes of Acoustic Guitar Karaoke #18, #19 and #20. This latest collections feature songs such as Stuck Like Glue (Sugarland), Love The Way You Lie (Eminem) and If I Die Young (Band Perry) along with many others — too many to list here. Vol. 20 features the new Taylor Swift tracks Better Than Revenge, Dear John, Innocent, Sparks Fly and The Story of Us along with three new Sugarland tracks, too. Why don’t you walk on over to iTunes and check em’ out? Thanks ya’ll. Tracks on AGK 15 include Today Was A Fairytale, Jump Then Fall, SuperStar, The Other Side of the Door, Last Christmas, Half of My Heart (Taylor Swift), Use Somebody (Kings of Leon), and Keep You (Sugarland). Tracks on AGK 16 include American Honey (Lady Antebellum), Droplets (Colbie Caillat), Fire and Rain (James Taylor), Hey Soul Sister (Train), Terrified (Katherine McPhee), White Liar (Miranda Lambert). Check em’ out from Kris Farrow on iTunes here. Well, we had to make some difficult choices, but Kris Farrow picked the top contest winners for our first Acoustic Guitar Karaoke All Stars contest. We had so many wonderful entries from our fans. 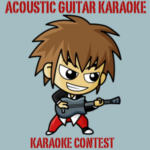 We appreciate everyone who entered and encourage everyone who loves to sing and/or play guitar, to keep at it. Because we had so many great song entries, we decided to add an extra sixth place slot for Julia Murray’s “Crazier.” Honorable mentions also to Maddie Schulte’s “White Horse” and to our youngest contestant, Noa Martucci, who performed “Don’t Stop Believin'”. The Acoustic Guitar Karaoke All Stars edition album featuring all of the above tracks will be released on March 1st on iTunes. More news to follow soon. Thanks again and congratulations to the winners! AGK #14 is now on iTunes right before the end of the new year, featuring a giant rabbit holding a guitar. This is our favorite album cover to date – so cool. Maybe he should be our mascot? Mad thanks to the talented artist, Simonox, who designs most of the artwork we use for our Acoustic Guitar Karaoke albums. Simonox is otherwise famous for designing the famous “Twitter” bird. Vulnerable and Your Call (Secondhand Serenade), More Like Her (Miranda Lambert), Mama’s Song and Cowboy Casanova (Carrie Underwood), Hate That I Love You (Rihanna), Didn’t You Know How Much I Loved You (Kellie Pickler), Need You Now (Lady Antebellum), Untouchable (Taylor Swift) and Breathe 2AM (Anna Nalick). Check it our on iTunes today. Two more great AGK editions from Kris Farrow NOW available only on iTunes. AGK #13 also features a free PDF booklet with full album downloads – only on iTunes. CHRISTMAS EDITION 2 – If that weren’t enough, Kris also cranked out another Christmas EP, featuring the Mistletoe (Colbie Caillat), Frostie The Snowman, Let It Snow, White Christmas and Santa Baby. Kris loves Christmas songs and he’s a mad fan of Mistletoe – we hope you like it, too. Christmas Edition 2 is available NOW only on iTunes. Yes, we keep cranking them out. Acoustic Guitar Karaoke Volume #12 is NOW on iTunes. Featuring ten (10) tracks, AGK #12 is a great way to end the summer – we’ve got all the current hits from Colbie Caillat, Hannah Montana, Jonas Bros. and Demi Lovato, along with a few tribute tracks to Michael Jackson – Kris says they’re some of his best songs yet.